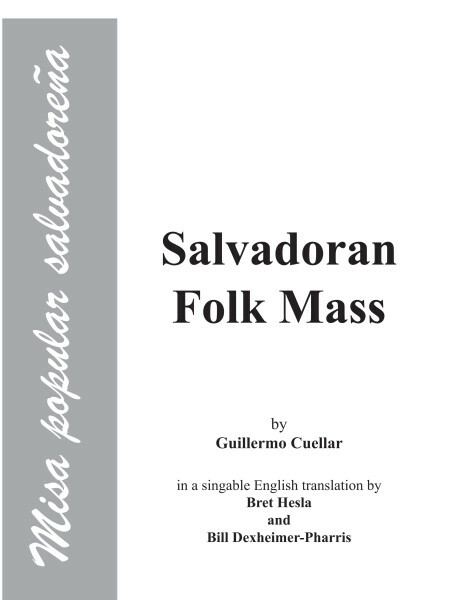 Written by Guillermo Cuellar in the late 1980s, this ten-song mass lifts up the powerful voices of the Salvadoran people struggling against the brutal dictatorship, finding Jesus being crucified in their martyrs at the hands of the death squads, and finding hope in the solidarity with one another and the promises of God to be with the poorest of the poor. Presented with English translations by Bret Hesla and Bill Dexheimer-Pharris. (Hard copy: price includes shipping).